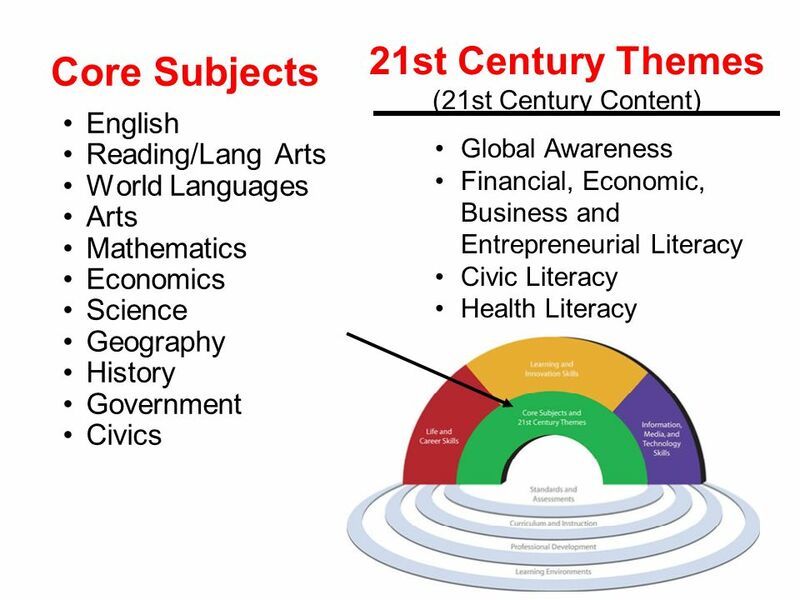 3 Objectives Describe the role of the World Languages 21st Century Skills Map. 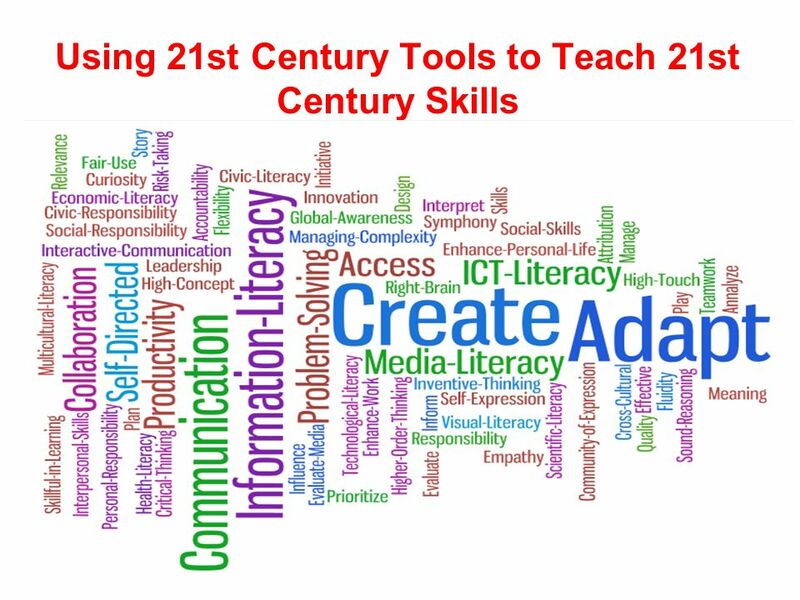 ACTFL World Languages 21st Century Skills Map includes skills description and the interdisciplinary themes. 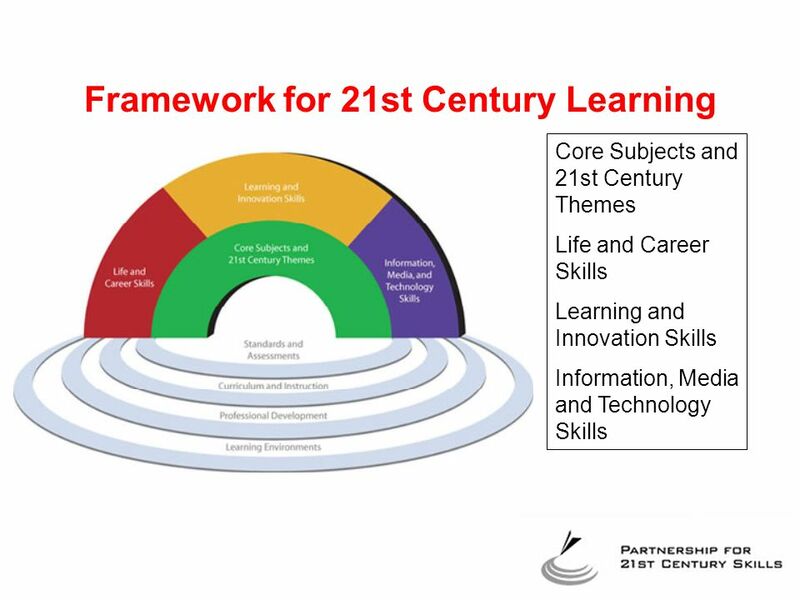 Explore sample student activities aligned to the 21st Century Skills Map elements in the immersion setting. 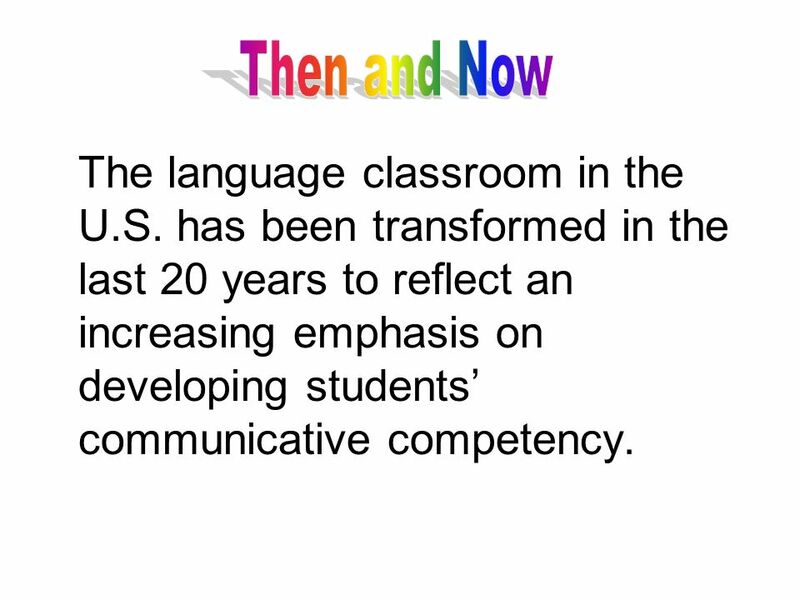 8 Then and Now The language classroom in the U.S. has been transformed in the last 20 years to reflect an increasing emphasis on developing students’ communicative competency. 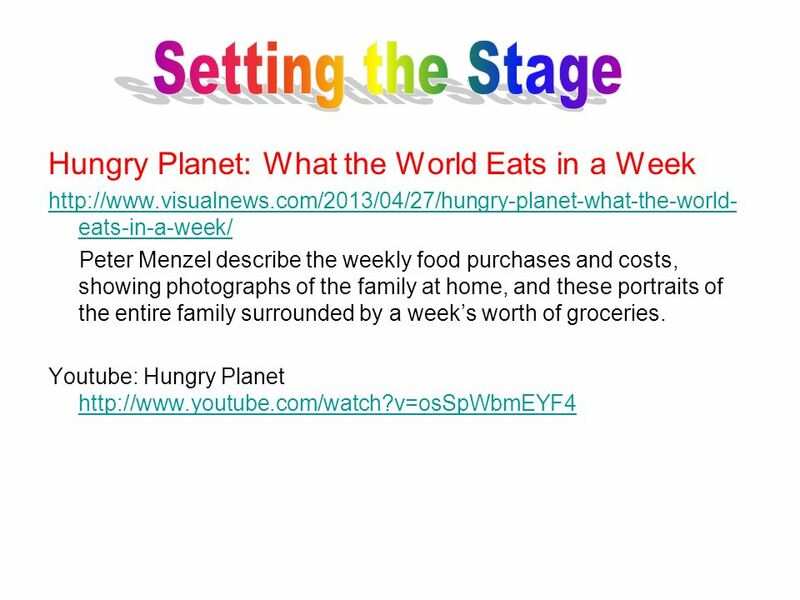 Setting the Stage: Short exploratory activity, prompt, video, etc. 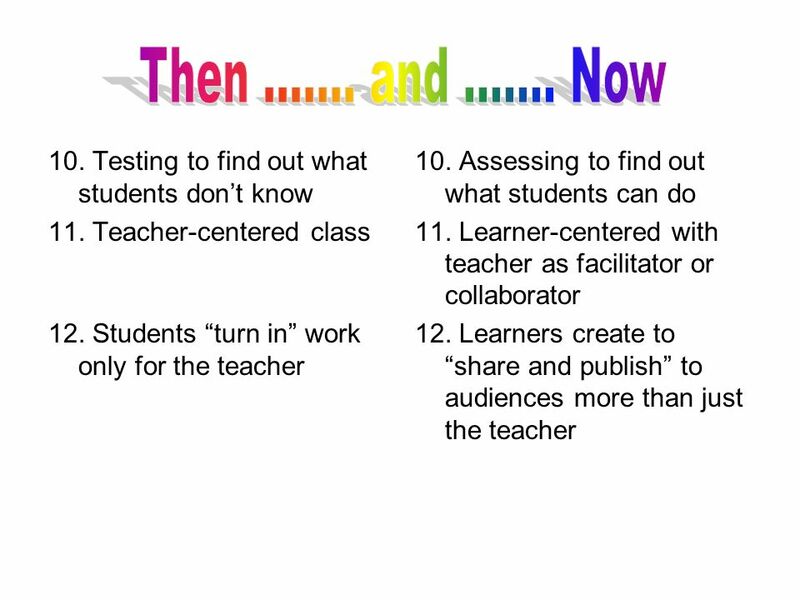 that focuses students’ attention before the actual lesson begins. 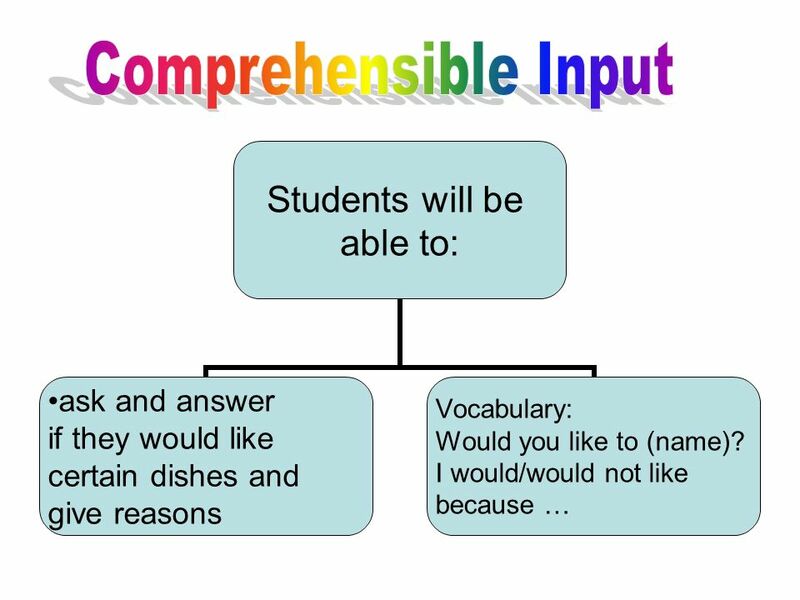 Comprehensible Input Introduction: Teacher presentation of contextualized language functions (vocabulary, language structures), skills, and concepts the teacher will impart to the students in context— what the students need to know in order to be successful. 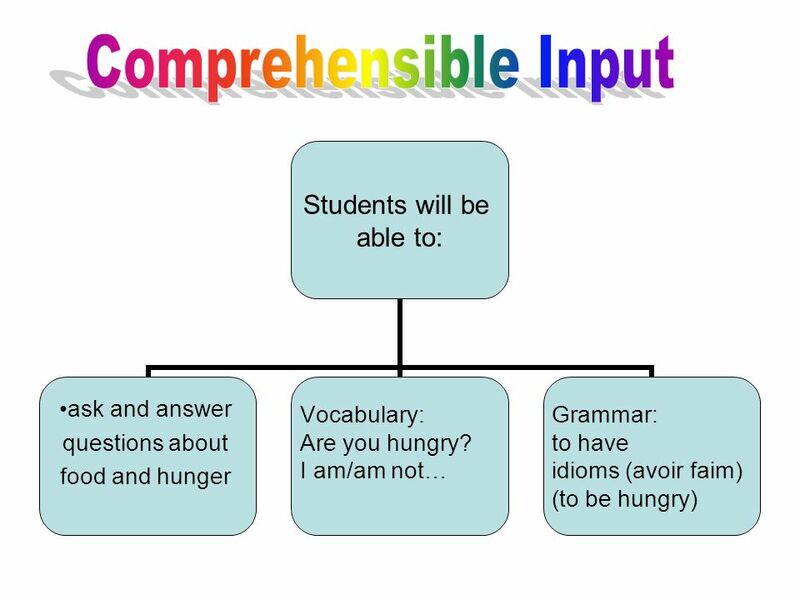 Student comprehension is periodically assessed by comprehension checks, which help the teacher adjust the presentation to ensure acquisition of language. 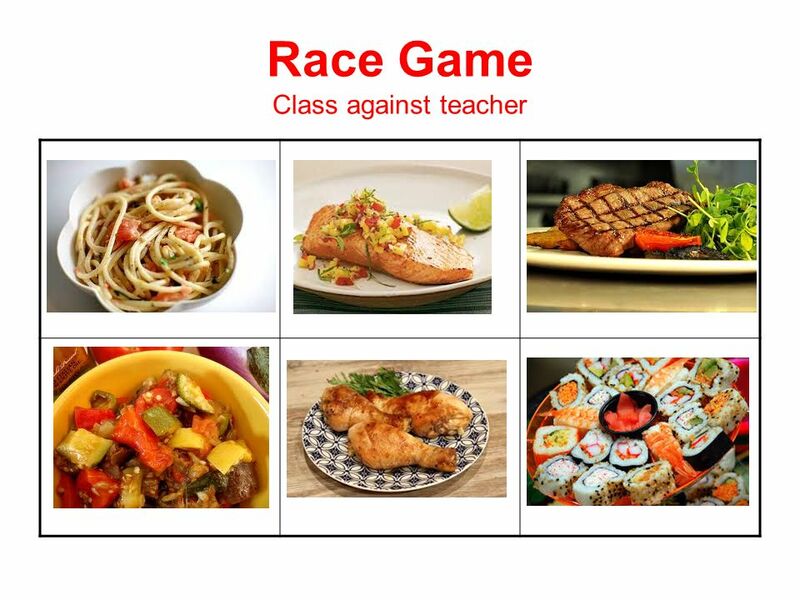 15 Learning Scenario Students will consider personal connections with food. They will consider the type of food that they and others eat and will indicate their likes and dislikes. 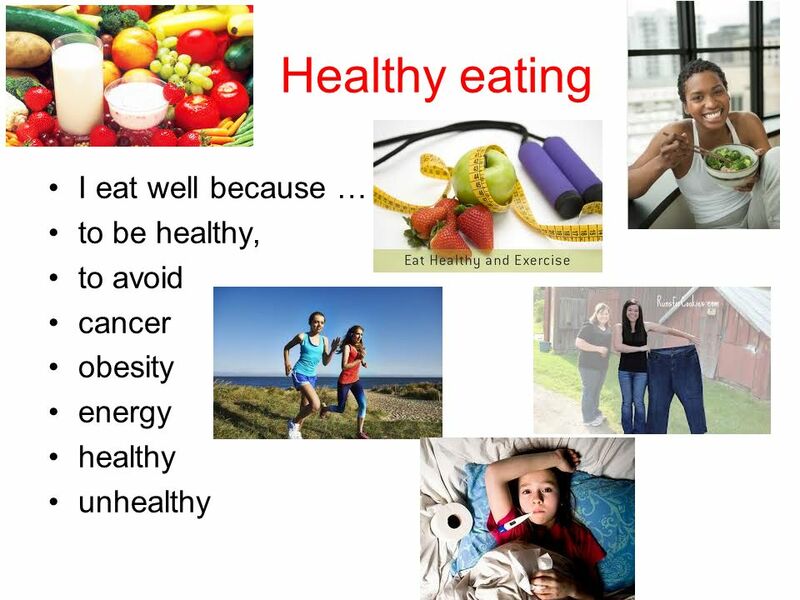 They will be able to say why they eat/don’t eat certain foods, describing their tastes and commenting on how healthy or unhealthy certain foods are. 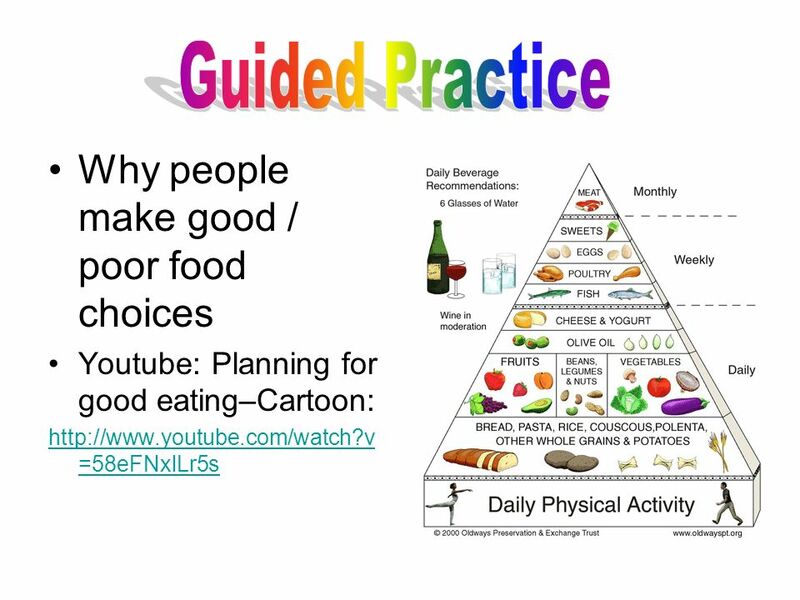 They will be able to explain the number of calories needed to sustain life and will analyze the number of calories they consume with regard to the US and other food pyramids. 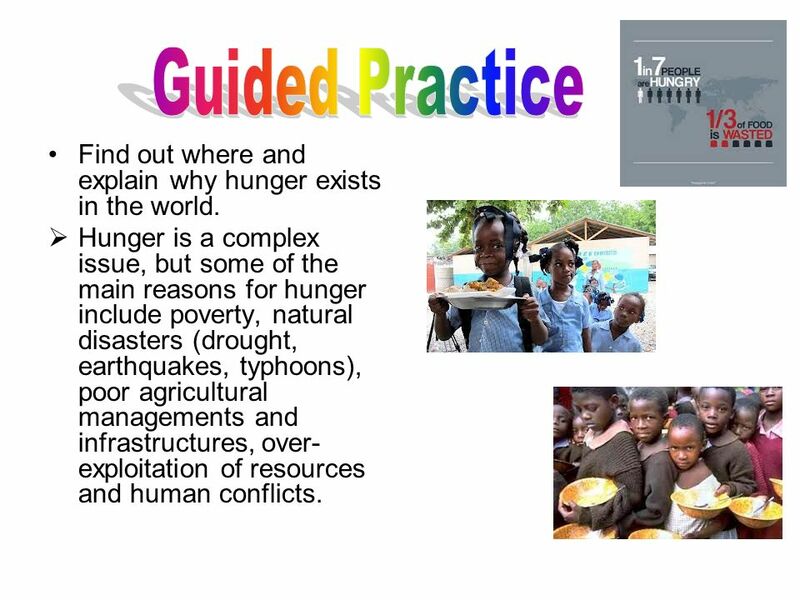 Finally, they will consider why hunger exists, where it is prevalent and how various organizations are helping. 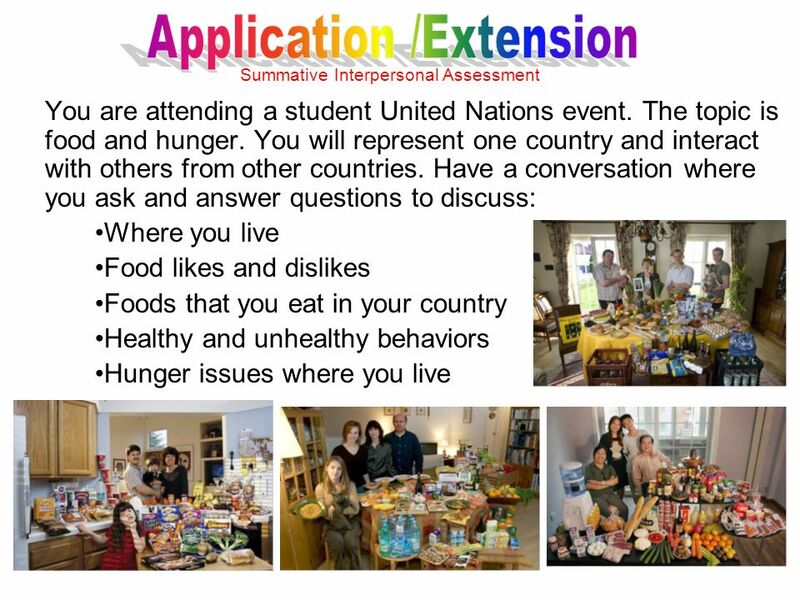 As a class students will work individually and in groups to draw attention to hunger issues. Standard 1.1- Interpersonal Communication: Students engage in conversation, provide and obtain information, express feeling and emotion, and exchange opinions. 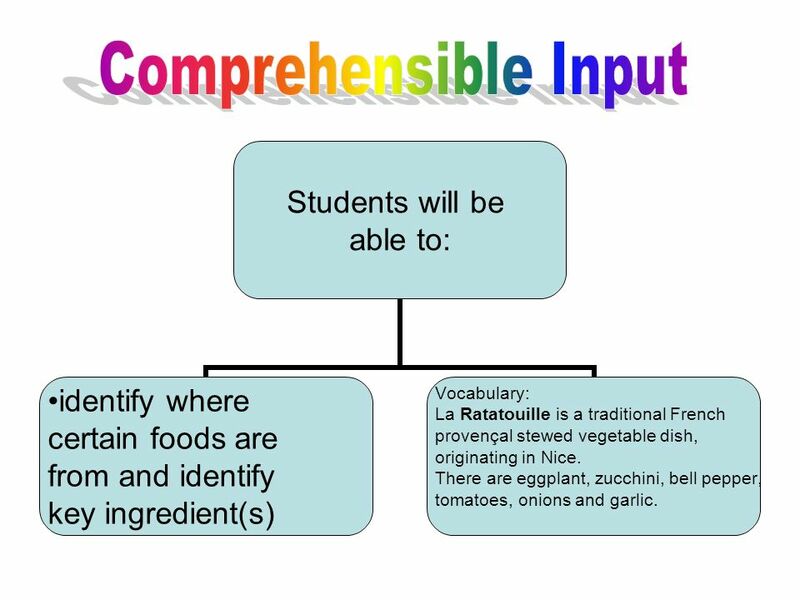 Standard 1.2 – Interpretive Communication: Students understand and interpret written and spoken language on a variety of topics. 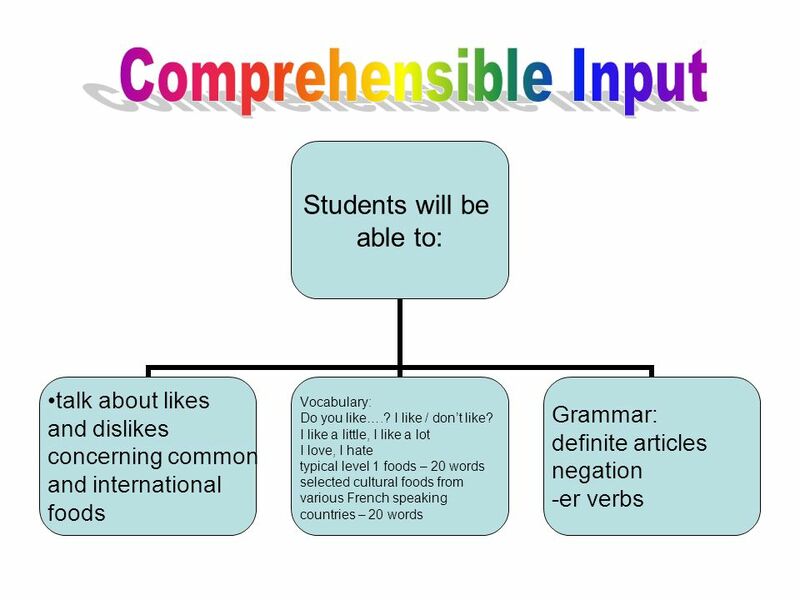 Standard 1.3 – Presentational Communication: Students present information, concepts and ideas to an audience of listeners or readers on a variety or topics. 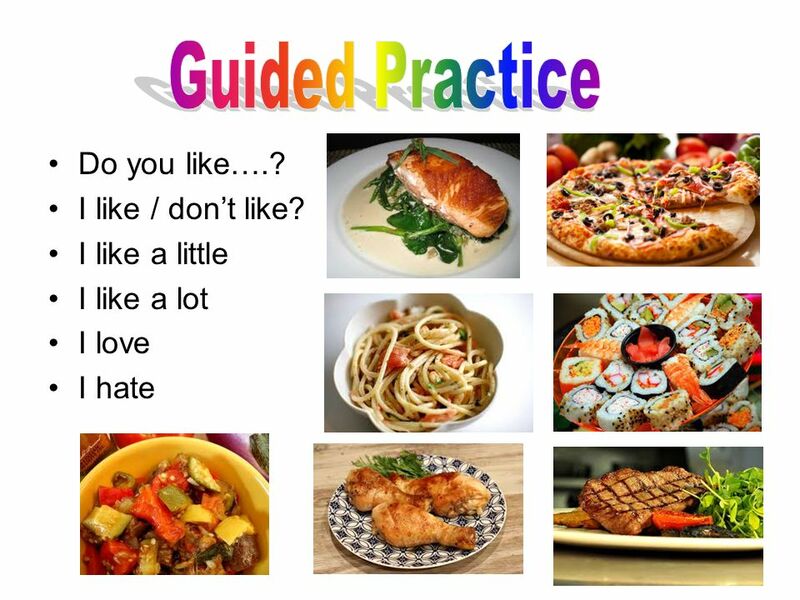 Goal 2: Cultures Standard 2.1 – Practices and Perspective: Students demonstrate an understanding of the relationship between the practices and perspectives of the culture studied. 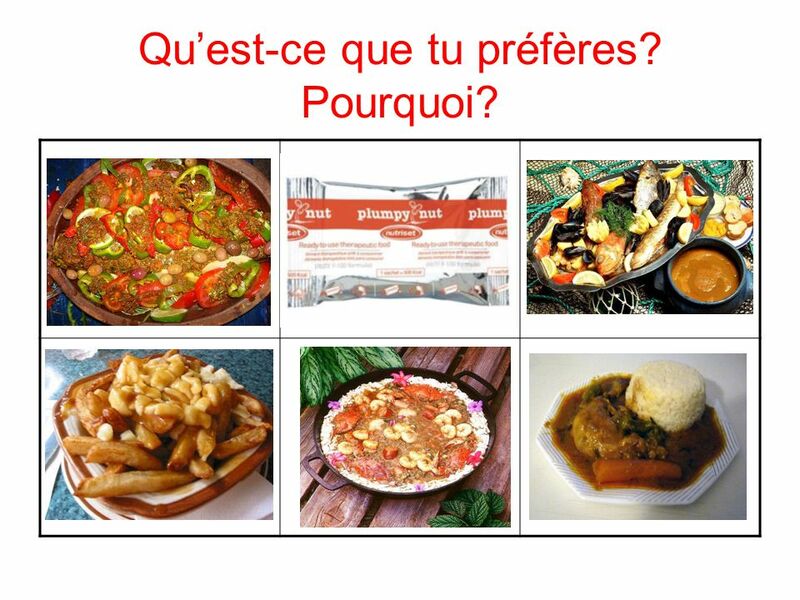 Standard 2.2 – Products and Perspectives: Students demonstrate an understanding of the relationship between the products and perspectives of the culture studied. 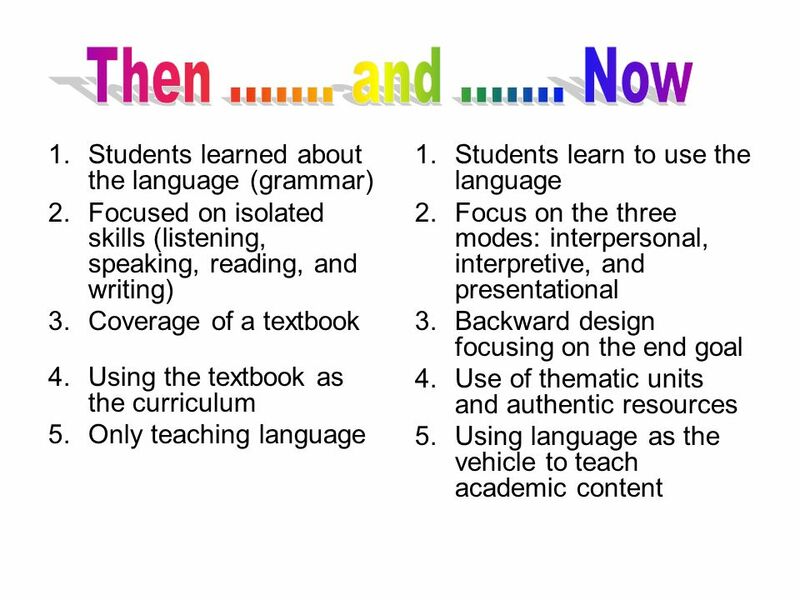 Goal 3: Connections Standard 3.1 – Knowledge of Other Disciplines: Students reinforce and further their knowledge of other disciplines through the foreign language. Standard 3.2 – Distinctive Viewpoints: Students acquire information and recognize the distinctive viewpoints that are only available through the foreign language and its cultures. 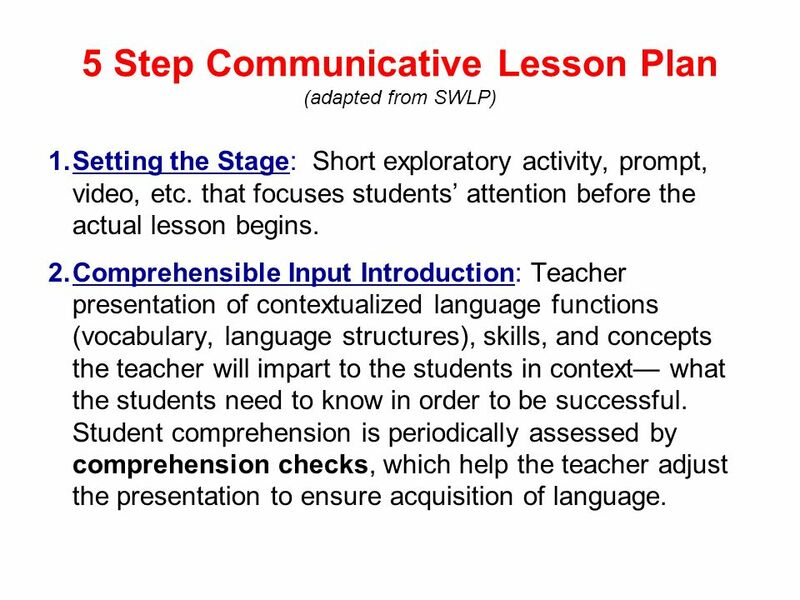 Goal 4: Comparisons Standard 4.1 – Nature of Language: Students demonstrate understanding of the nature of language through comparisons of the language studied and their own. 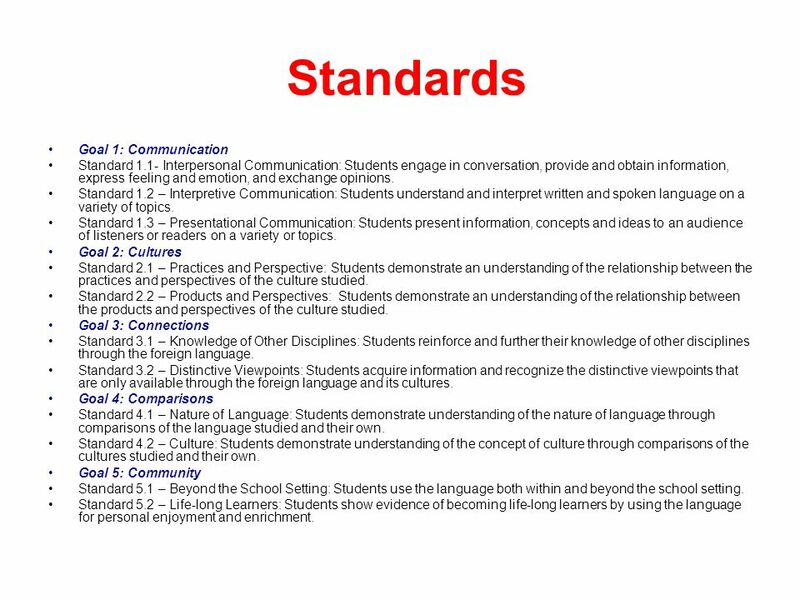 Standard 4.2 – Culture: Students demonstrate understanding of the concept of culture through comparisons of the cultures studied and their own. 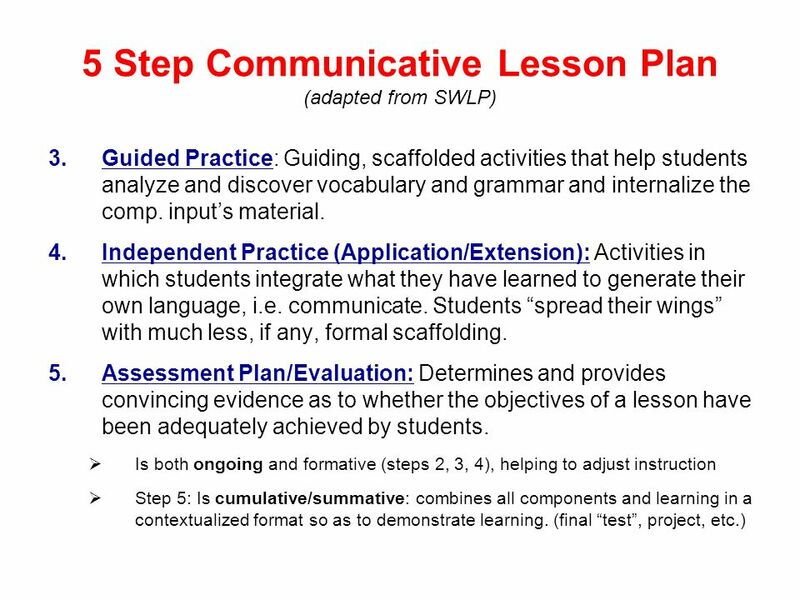 Goal 5: Community Standard 5.1 – Beyond the School Setting: Students use the language both within and beyond the school setting. Standard 5.2 – Life-long Learners: Students show evidence of becoming life-long learners by using the language for personal enjoyment and enrichment. 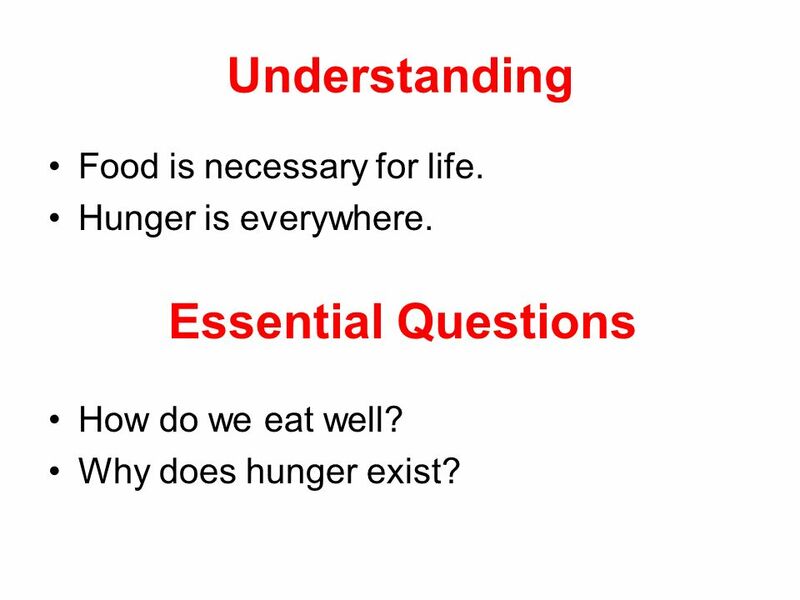 18 Understanding Essential Questions Food is necessary for life. Hunger is everywhere. 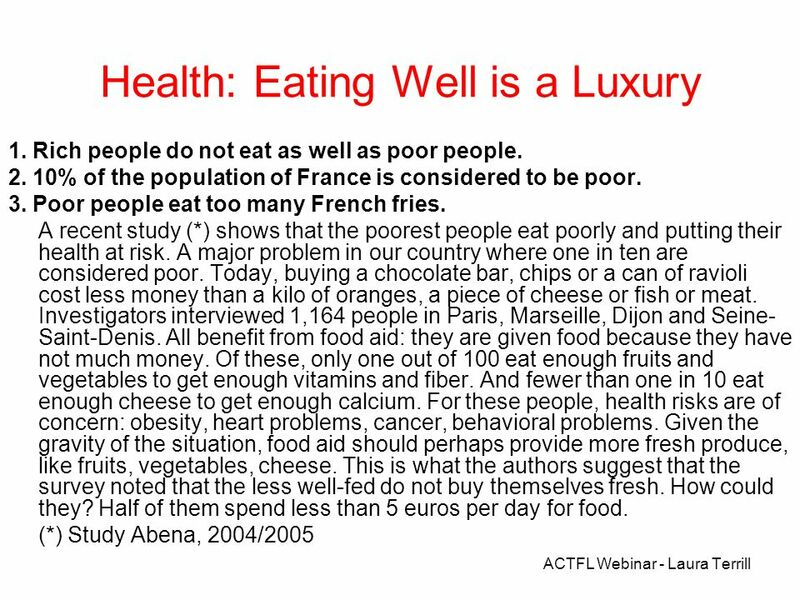 Essential Questions How do we eat well? Why does hunger exist? 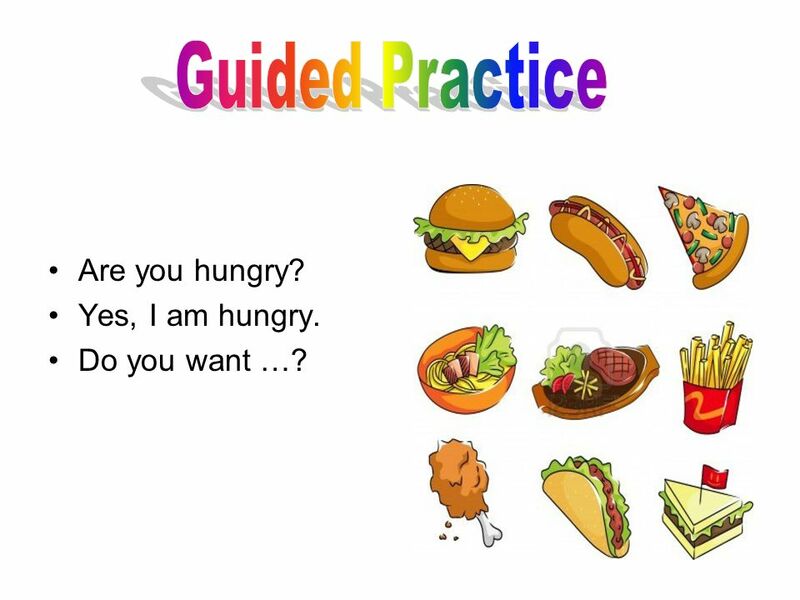 20 Guided Practice Are you hungry? Yes, I am hungry. Do you want …? 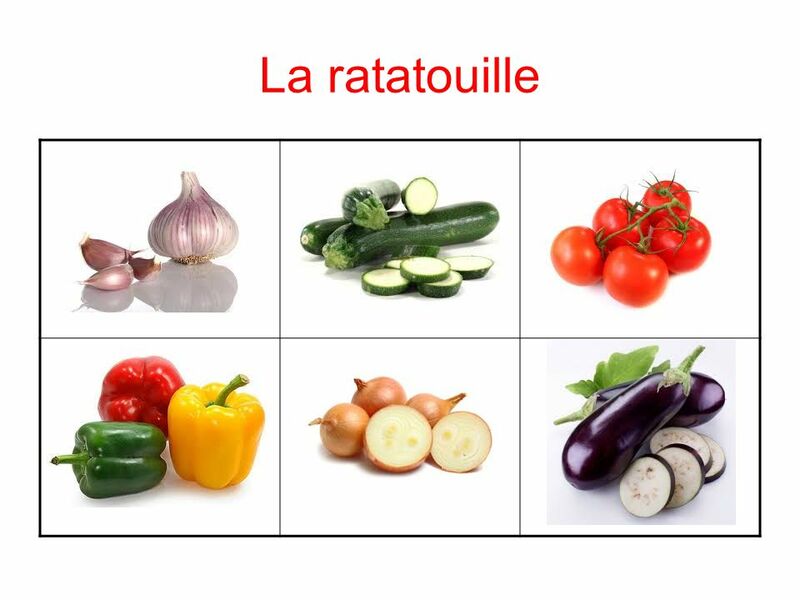 26 Tu aimes la ratatouille? 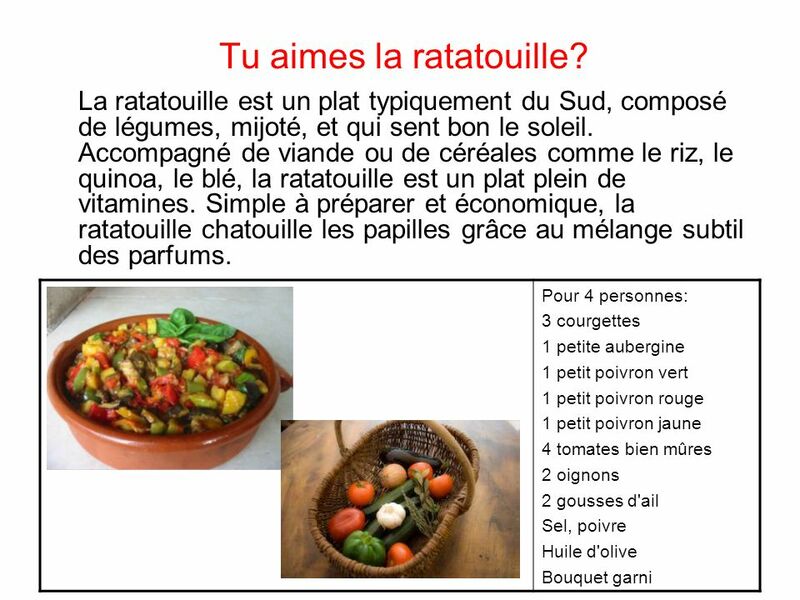 27 Tu aimes la ratatouille? 31 Qu’est-ce que tu préfères? Pourquoi? 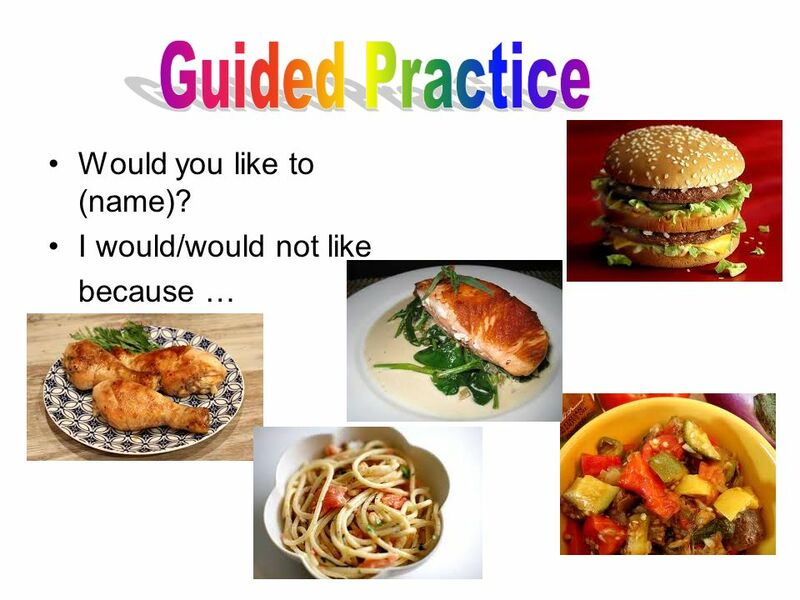 34 Guided Practice Find out where and explain why hunger exists in the world. 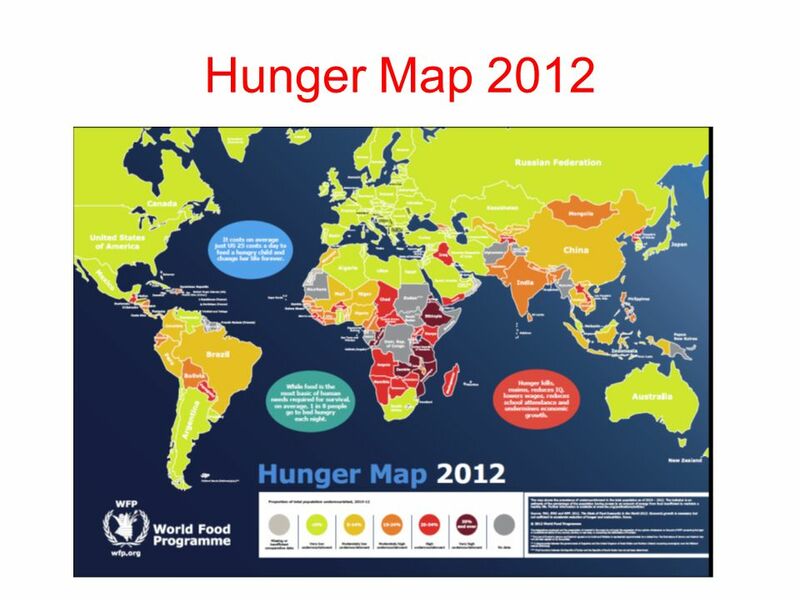 Hunger is a complex issue, but some of the main reasons for hunger include poverty, natural disasters (drought, earthquakes, typhoons), poor agricultural managements and infrastructures, over-exploitation of resources and human conflicts. 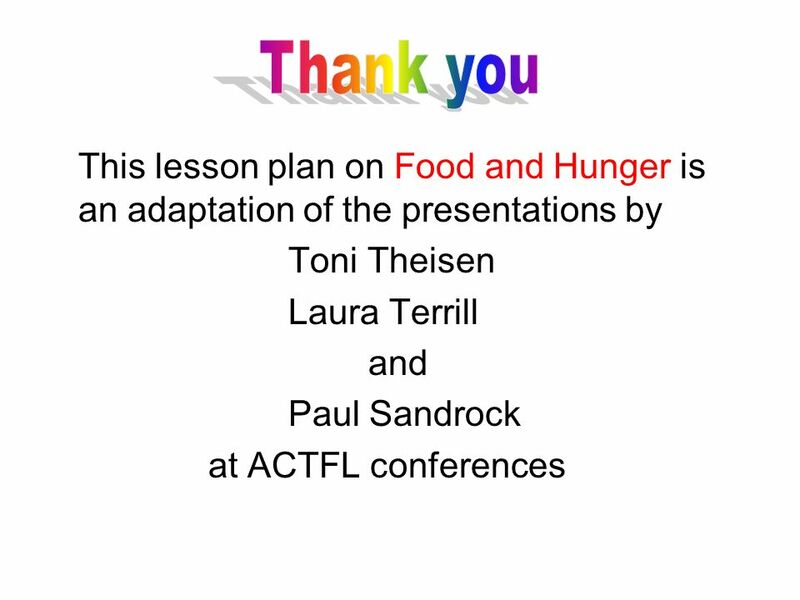 Students will read short authentic texts that provide information on food and hunger. They texts will be excerpted from Copain du Monde. 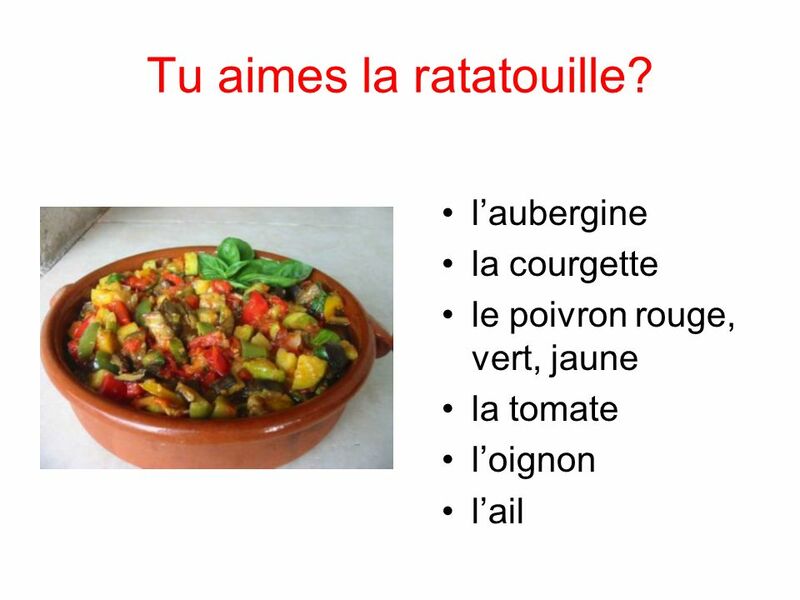 Students will be given key English words and asked to find the French equivalent. 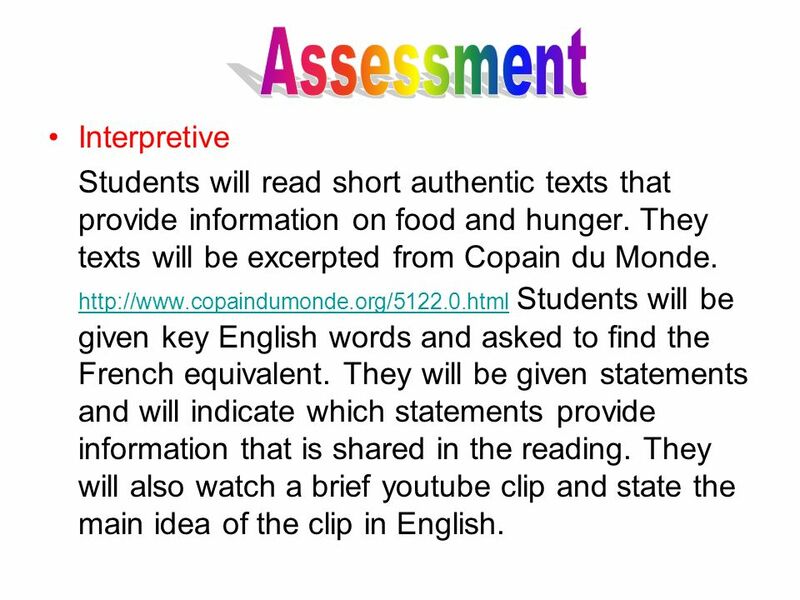 They will be given statements and will indicate which statements provide information that is shared in the reading. They will also watch a brief youtube clip and state the main idea of the clip in English. 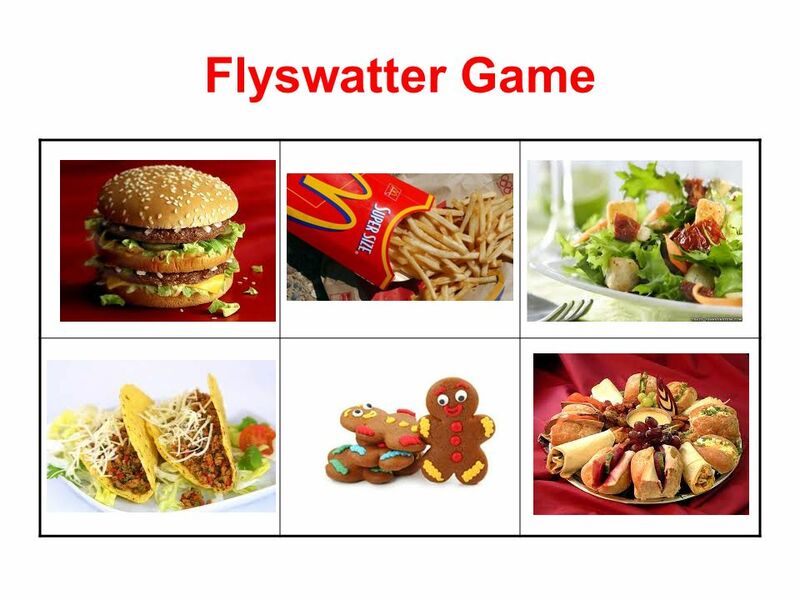 Students will have completed various activities based on visuals throughout the unit. 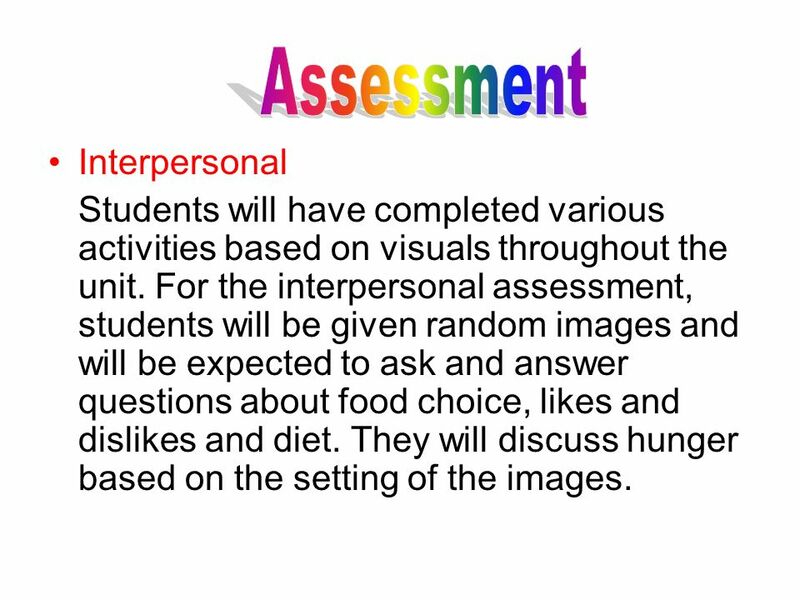 For the interpersonal assessment, students will be given random images and will be expected to ask and answer questions about food choice, likes and dislikes and diet. 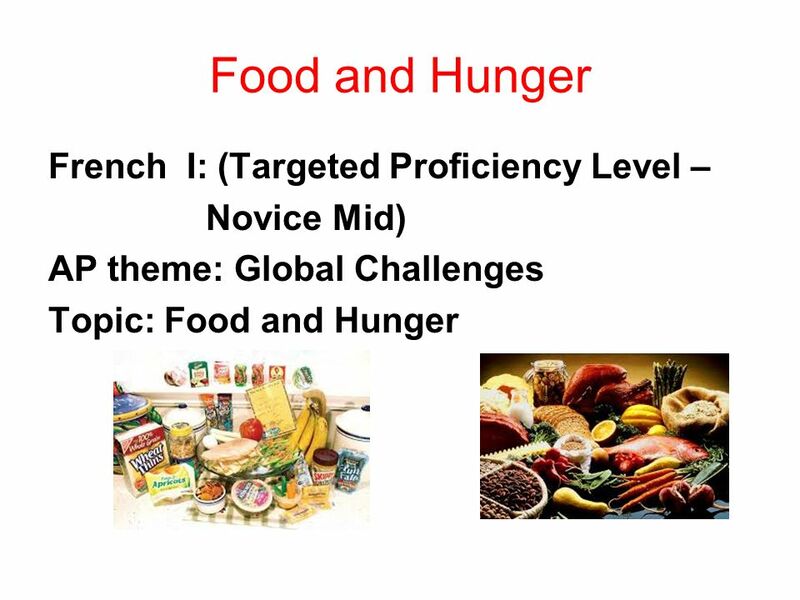 They will discuss hunger based on the setting of the images. 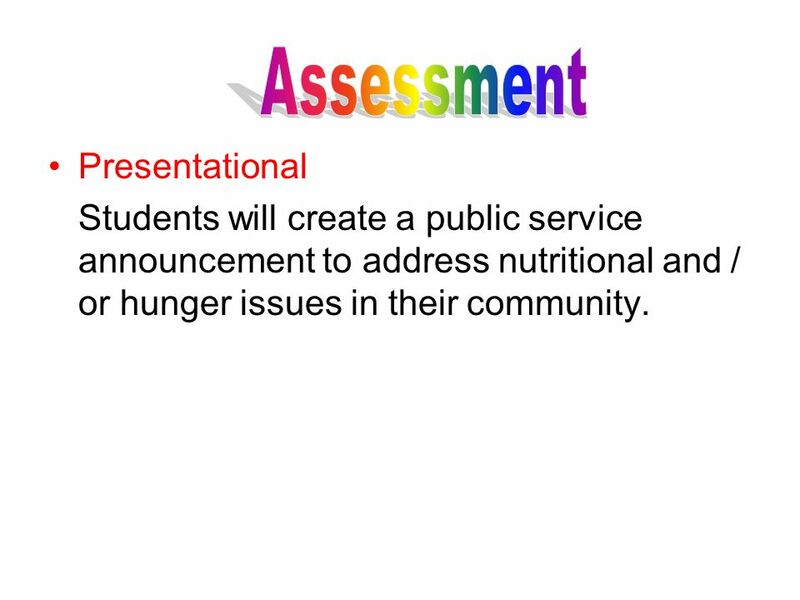 Students will create a public service announcement to address nutritional and / or hunger issues in their community. Learning and Innovation Skills Creativity and Innovation Students will create a public service announcement to address nutritional and / or hunger issues in their community. 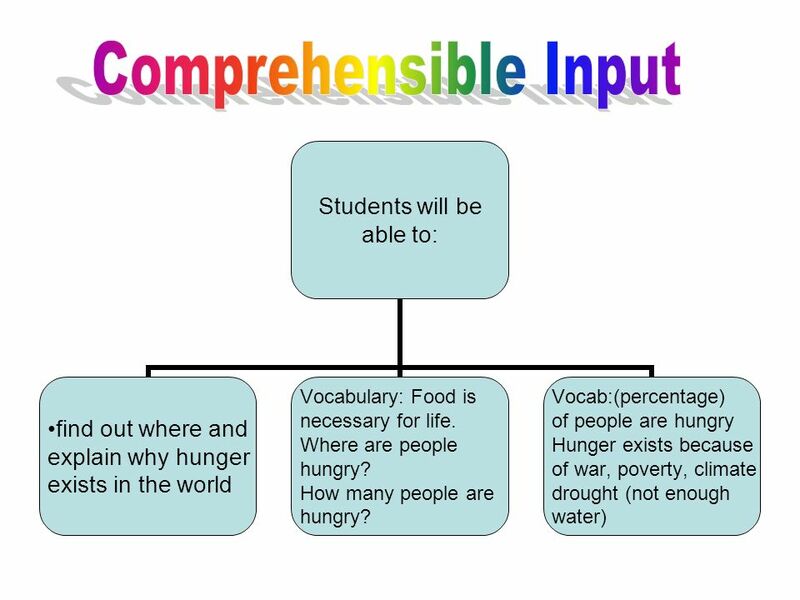 Critical Thinking and Problem Solving Students will work in groups to find out where and why hunger exists in the world. 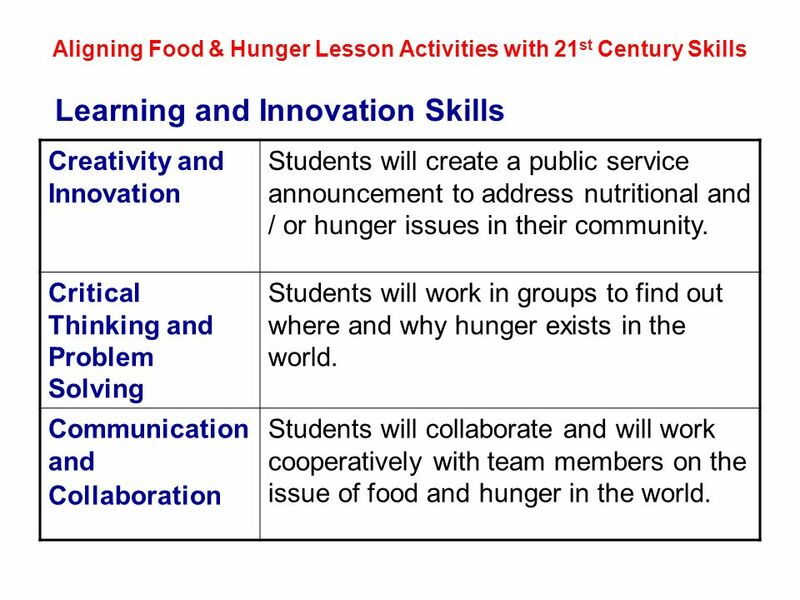 Communication and Collaboration Students will collaborate and will work cooperatively with team members on the issue of food and hunger in the world. 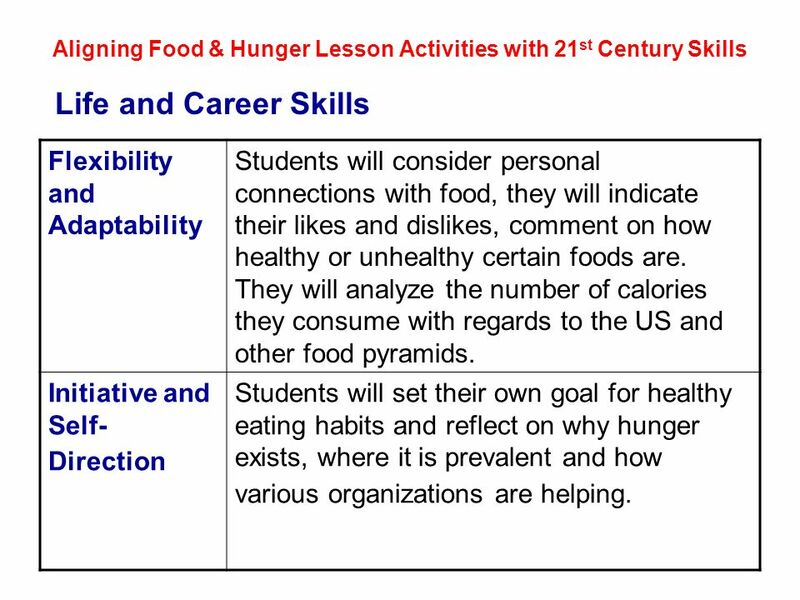 Life and Career Skills Flexibility and Adaptability Students will consider personal connections with food, they will indicate their likes and dislikes, comment on how healthy or unhealthy certain foods are. 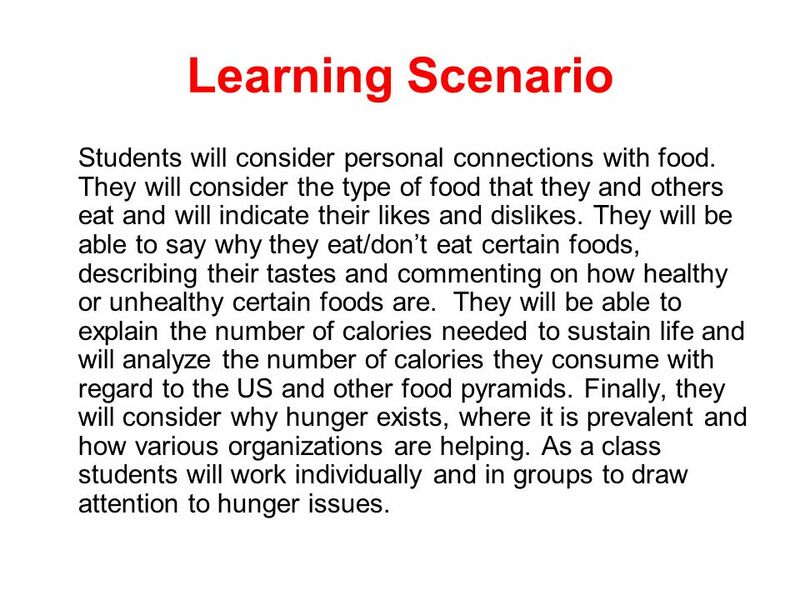 They will analyze the number of calories they consume with regards to the US and other food pyramids. 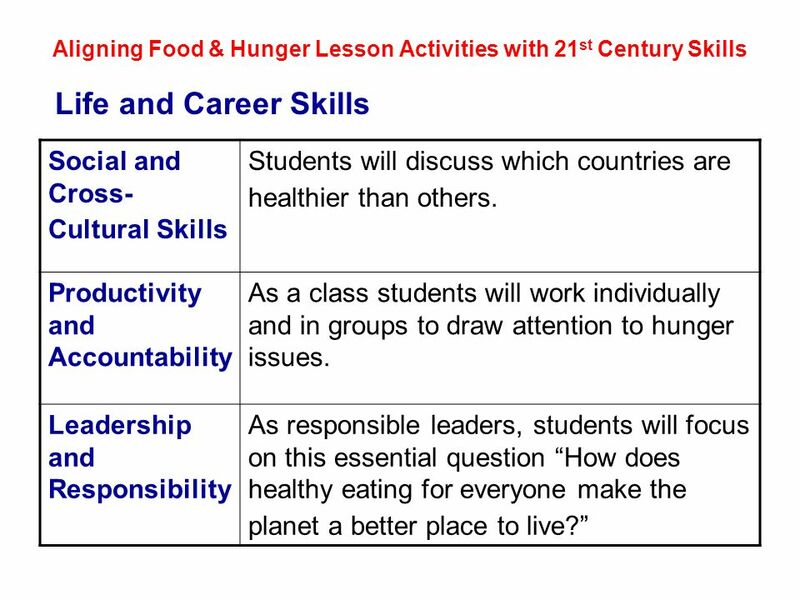 Initiative and Self-Direction Students will set their own goal for healthy eating habits and reflect on why hunger exists, where it is prevalent and how various organizations are helping. 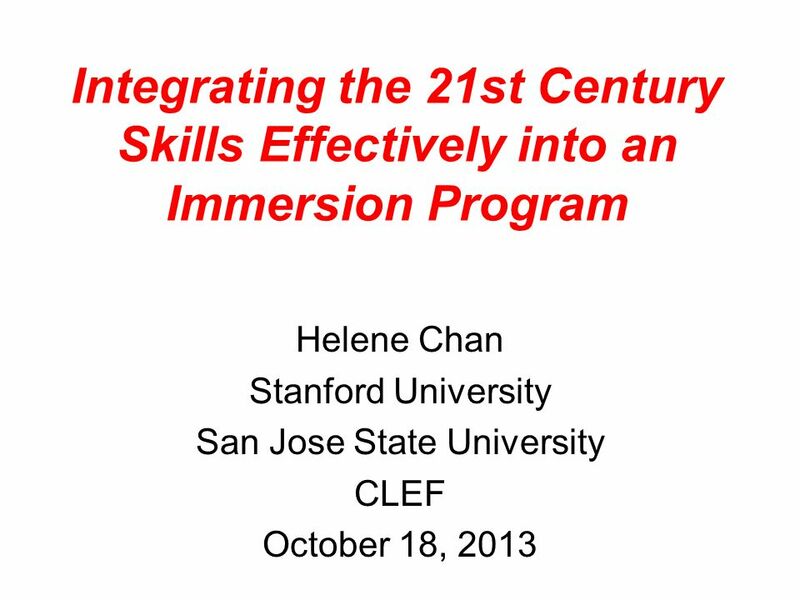 Download ppt "San Jose State University"
Modesto Common Core Reading October 11, Todays agenda Focus for the day – Reading AM Session 1. 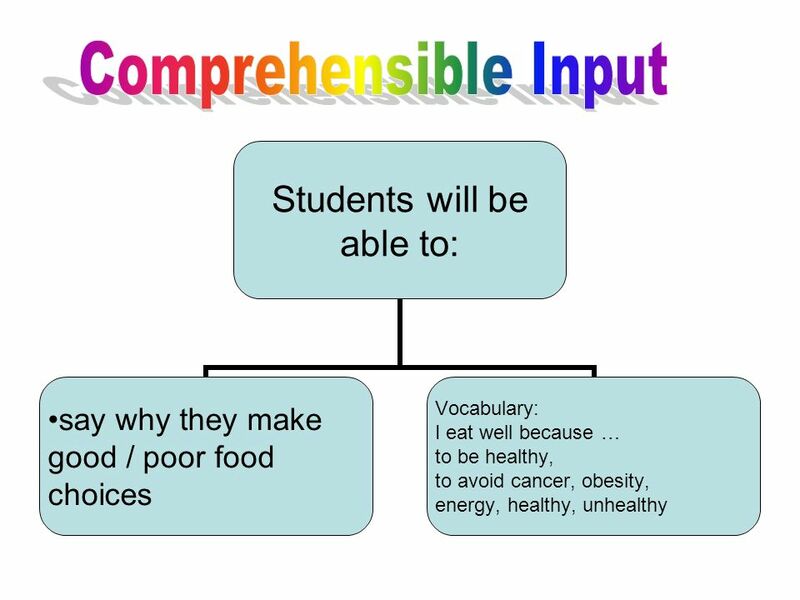 Understanding Rigor/Relevance Framework 2. Exploring. 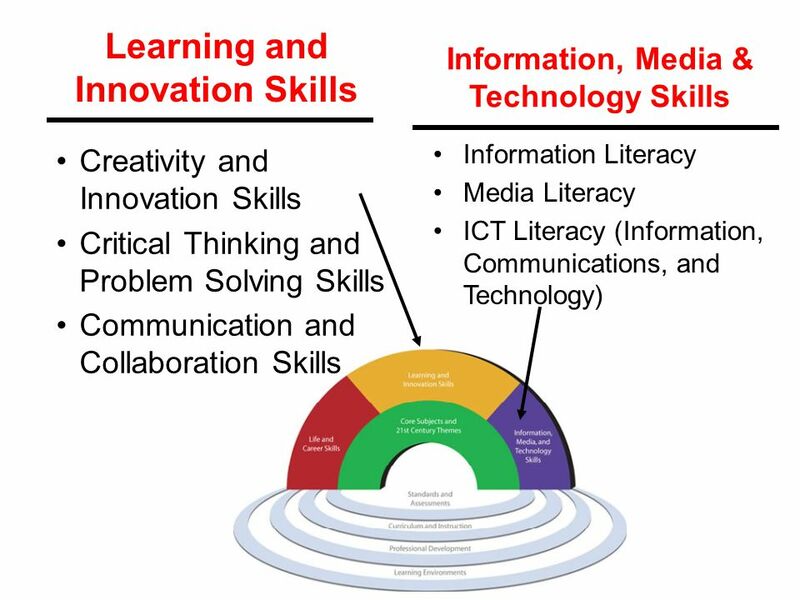 STUDENT LEARNING OBJECTIVES (SLOs) “Designing” © Pennsylvania Department of Education. Millennials “What we resolve to do in schools only makes sense when considered in the broader context of what the society intends to accomplish through. 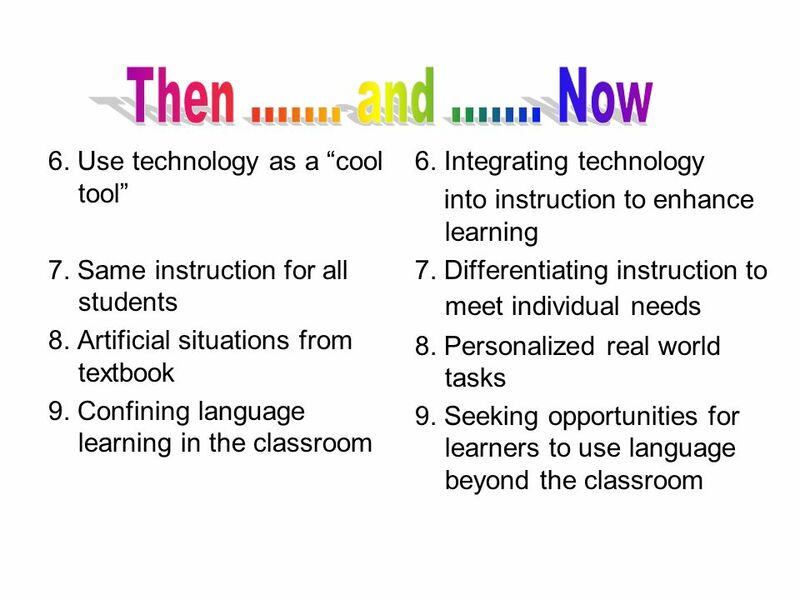 STARTALK: Preparing Russian Teachers for the 21st Century Day 2. 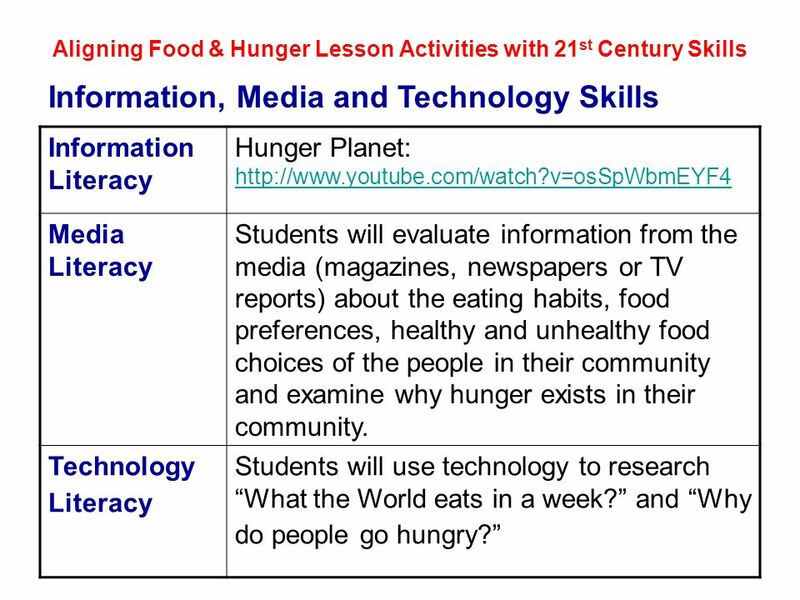 Framework for 21 st Century Learning Hendersonville Middle School Curriculum Night November 20, 2012 Rena Nisbet. 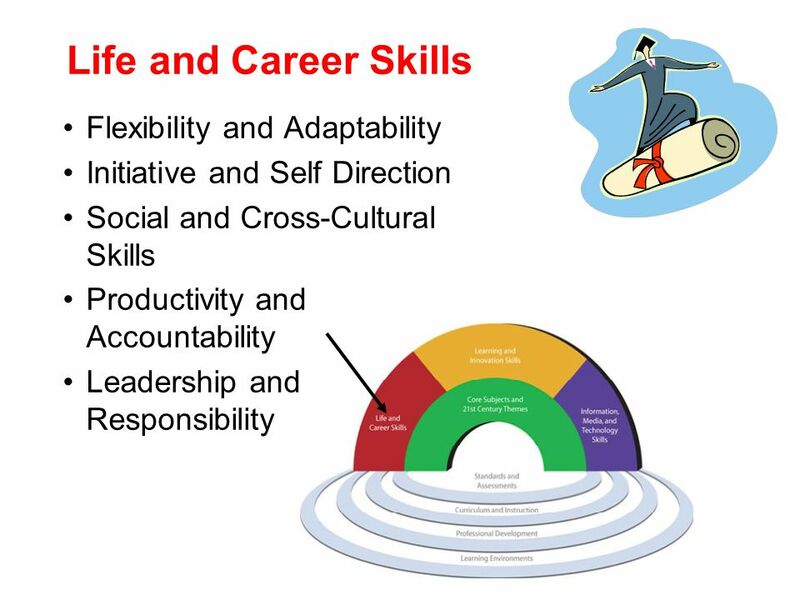 + 21 st Century Skills and Academic Standards Kimberly Hetrick Berry Creek Middle School Eagle County School District.